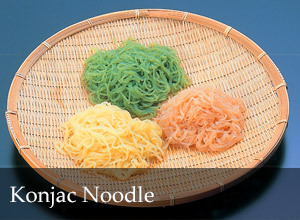 Japan’s Healthiest Food,We have been offering hand-made Konjac since our founding in 1877. 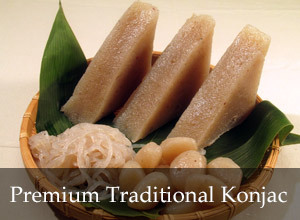 It is konjac that in the texture made [korikori], is the taste and seen. Because it is a removal of harshness settlement, it is possible to use it only by being washing in clear water. One package contains 28kcal and dietary fiber equal to 2 heads of lettuce. Konyaku noodles are very healthy. Just rinse with water before using. They work well with pasta, salad, and udon noodles. They do not contain any preservatives or coloring. 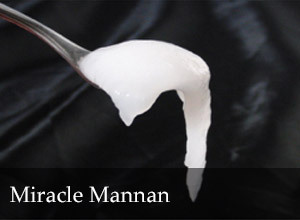 Miracle Mannan is the totally new unprecedented material.Used only natural materials that it is very healthy and low calories.The processing is easy, can use various purposes.This product is the material which can cause a revolution to a dish.